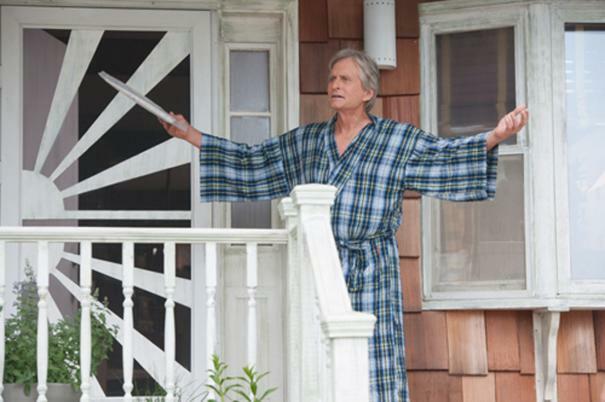 There are a million reasons not to like realtor Oren Little (Michael Douglas), and that's just the way he likes it. Willfully obnoxious to anyone who might cross his path, he wants nothing more than to sell one last house and retire in peace and quiet -- until his estranged son suddenly drops off a granddaughter (Sterling Jerins) he never knew existed and turns his life upside-down. Clueless about how to care for a sweet, abandoned nine-year-old, he pawns her off on his determined and lovable neighbor Leah (Diane Keaton) and tries to resume his life uninterrupted. But little by little, Oren stubbornly learns to open his heart – to his family, to Leah, and to life itself - in this uplifting comedy from acclaimed director Rob Reiner.